New exhibition with nature photographs! 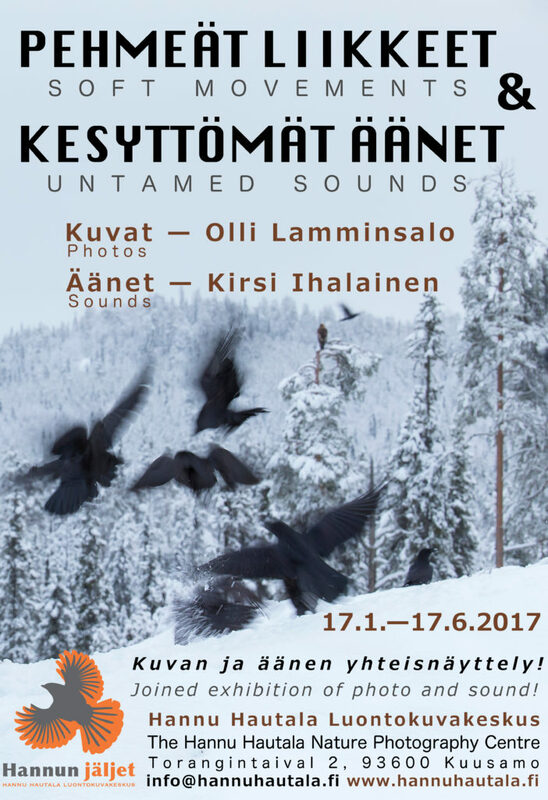 17.1.-17.6.2017 Hannu Hautala Nature Photographic Centre, Kuusamo. Joined exhibition of photo and sound! WELCOME TO THE OPENING 17th of January 2017, 6pm onwards!